I came across this lipstick one Sunday when cleaning up my stash. The classic red goes on smoothly and stays put for 3 - 4 hours even while drinking water. It is creamy but felt drying. A cute red lipstick at an affordable price (paid $8). The R.E.I.G.N. brand was founded in 2013 by Joshua Brands in partnership with the Miss America Organization. Proceeds of each sale is goes to helping support the Miss America Organization’s Scholarship Program. A lipstick that not only makes look good but feel good. I have used Wei East Golden Root Renewal before and loved it. So, I was excited when I found this in makeup cache. The super soft mud is easy to apply and stays put. However, it has a bit of a liquidy consistency and if you are not careful it can go over a certain someone’s white bathroom floor :/ The color and consistency reminds me a bit of a chocolate milkshake. The mud promises to deep clean and remove impurities from skin thanks to the seven herbs it is in enriched with. The single use portable packaging makes it is easy to keep it fresh and prevent the product from drying out. I was able to cover my entire face with about 75% of each of the pod and use the remainder on my neck or hands, depending which needed more TLC. I usually wait until the mud is completely dried before washing off but I recommend doing that in the shower as it can get a bit messy. After removing the mask, follow up with toner and a moisturizer to reveal smoother and softer skin. The historical romance novel is set in Britain around WWI. 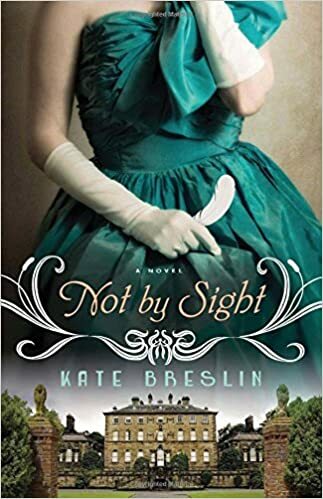 The story's two main characters, the beautiful and enchanting Grace Mabry and heir to the Earl of Stonebrooke, Jack Benningham, meet when the war efforts are spreading across the country. Grace, the inspiring suffragette is willing all able body men to join the cause while Jack publicly has shown no interesting in fighting and rather spend his time doing questionable things. The pair meet at a ball when Grace hands Jack a white feather to shame him into joining the the battle. Shortly, after her stunt Grace has two options -- she is either sent to work or sent to her aunt where she will be married off to her father's protege. Not one to marry without love, Grace enters the women workforce where she meets a mysterious man with a metal mask. Intrigue and curiosity with her innate desire to be a writer fuels Grace to learn more. Little does she know if their two paths cross, it could mean life or death. The story at first was very slow but gradually picks up. Towards the midpoint of the book, I found it hard to put the book down. The way Jack and Grace's faith and life are intertwined was truly mesmerizing especially the part for forgiveness. Can you forgive an enemy if means being with the one you love? The love story that is taken place in a "world where collective memory has vanished and the past is a dangerous country, not to be talked about or visited". The unlikely pair was drawn to each other by first sight. Their curious encounter takes them on strange path to leading the pair to wonder, was their meeting by faith or someone controlling their faith? In a society, where everything is closely monitored, the pair risk everything to stay together for not just themselves but for entire faith of mankind. The Man Booker Prize winner author spins a tale that many reviewers akin to Orwell’s 1984 and Huxley’s Brave New World. I would also throw in the mix, Bradbury's Fahrenheit 451 and the movie Inception. The book is written with dialogue intertwined with journal entries and stories. One would wonder how some of the stories seem misplaced and how they fit together with the entire story. Like the movie, Inception you would need to read the book several times to appreciate all the finer details and even then it might not be enough. However, if you are like me, dear reader, I got confused and overwhelmed very quickly (just like the movie Inception). Some of the story's undertones were not apparent and I rather not assume to guess what the author is trying to tell me but rather...have it spoon fed. Which brings me to one of my annoyance with this book, which while rich in story and creatively written, the author writes in mini-story lines that make you wonder and interested in them but fail to develop or expand more on it. Sadly, while the book does offer insight to not only the main characters but side characters as well -- it doesn't offer much more than random tidbits. A good read at least once if you are okay with cliffhangers and your assumptions. The eye shadow palette is composed of 5 pigmented shades to color, contour, sculpt, highlight and line eyes for eight-hour budge proof formula. The palette comes with an eyeshadow and eyeliner applicator. The bronze amour is peach gold shimmer, golden copper shimmer, golden taupe shimmer, yellow gold shimmer, and chocolate brown shimmer. The color was a bit too light and not enough pigment for me. Some of the shimmer eyeshadow had a bit too much of a glitter fallout. I didn't ntice the formula lasting 8 hours, three hours at max. It's a nice palette but I pick the wrong color palette for my tastes.